Our doctors have a diversity of expertise which allows for premiere dentistry across a broad scope from basic procedures to advanced services such as cosmetic dentistry, dental implants, orthodontic work, and root canals. We want to take care of oral health for the whole family and tailor our approach towards the needs of each patient. 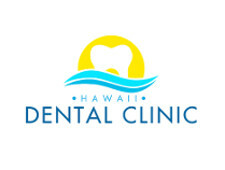 For young keiki, our staff and doctors are very gentle and genuinely try to make the experience fun while calming so the patient knows there is nothing to fear or be intimidated by at the dentist. For adults we ensure that we care for them with excellence and professionalism and the elderly are always treated with the utmost respect and attention. Understanding that some patients are very apprehensive about even the simplest of dental procedures, we offer sedation dentistry using nitrous oxide to calm the nerves. If this option is chosen, the gas is administered with the utmost care and safety by the doctor.